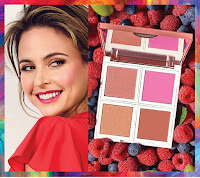 Josie Maran Cosmetics is one of my favorite natural beauty lines and has just launched a new palette called Vibrancy. I love her Vibrancy fluid foundation made with cold pressed, good for you ingredients, so I was really excited to try out her new beautiful Vibrancy Argan fresh face palette! It first debuted on QVC and I saw it live and fell in love with the colors. So I decided to go out and pick it up at my local Sephora yesterday and it's turned out to be beyond my expectations. 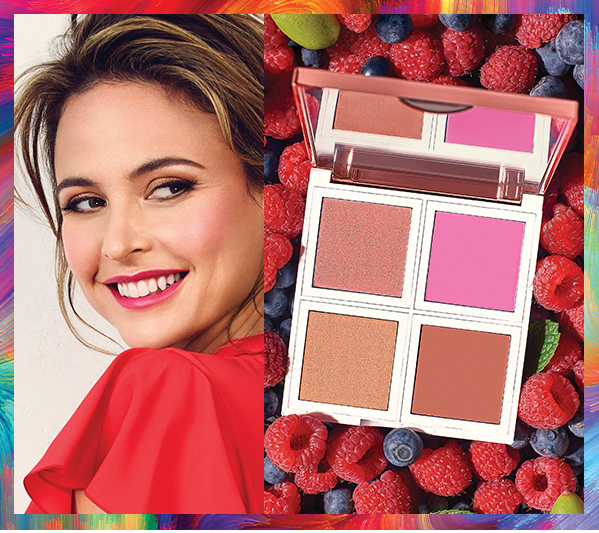 Josie Maran's Argan fresh face palette is a creamy eye, lip, and cheek palette powered by good for you ingredients like vitamin-rich argan oil and fresh fruit extracts so you can create a gorgeous, full face look on-the-go! My first impressions are the packaging is beautiful. The compact is like a mirror with word VIBRANCY in rainbow colors. The creamy colors are so beautiful! This beautiful palette features four creamy, long-lasting shades that enhance and brighten skin's natural dimension. This palette would be my one product if I were to pick just one beauty product to travel with or go on a desert island. You can literally do a full face, eyes, lips, cheeks even use the bronzer to sculpt certain areas or use all over for that glowing bronze goddess look. The color options are endless with this palette. The 100% Pure Argan Oil enriches skin with firming essential fatty acids and vitamin E, while antioxidant-rich raspberry seed oil, blueberry extract, and coconut oil hydrate for youthful-looking skin. These beautiful shades are blendable, buildable, and completely mistake-proof. Choose or mix the two gold and rose-gold highlighting shades for a personalized glow, sculpt and contour using the dreamer shade, and add a subtle flush with the universal sweetness shade. 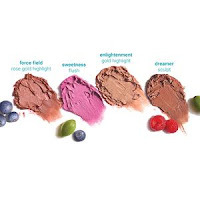 What I love is you get an amazing, pigmented color payoff that looks good on everyone and Sephora has rated the palette in the Clean Beauty category because it's formulated without Parabens, Sulfates and Phthalates. It's also cruelty-free, recyclable, full of fresh ingredients, and free of talc, PEGs, formaldehyde, mineral oils, coal tar, gluten, synthetic fragrance, hydroquinone, oxybenzone, retinyl palmitate, SLS, and SLES. Josie Maran cosmetics did an amazing job with this palette! I love supporting natural beauty brands that are not only natural and eco-friendly, but don't test on animals and actually do good in the world with their profits like Josie Maran Cosmetics. I love her philosophy and always feel good investing in her products. You can pick up your Josie Maran Vibrancy Palette in-store at your local Sephora, online at Sephora.com and Josiemaran.com.